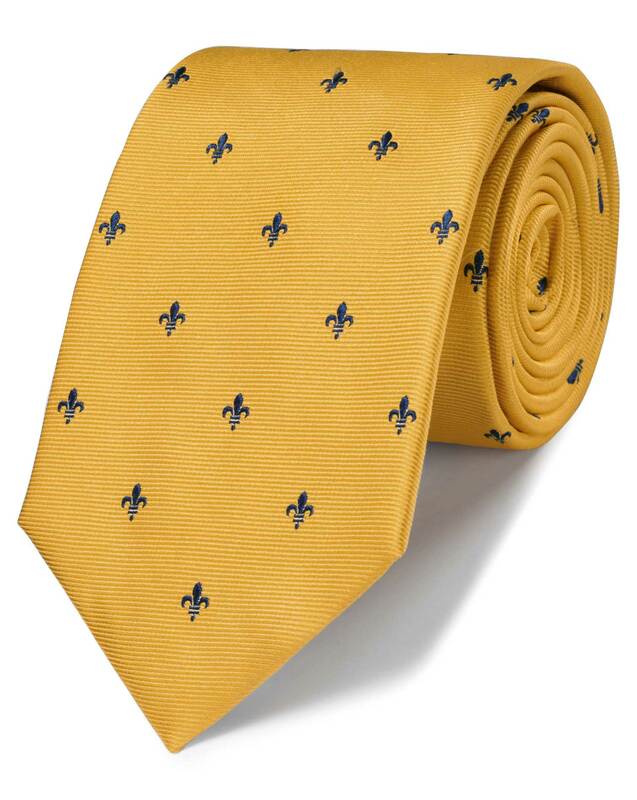 "A tie collection isn't complete with at least one Fleur-de-Lys design. This one is a sure-fire, can't-go-wrong classic." "Classic design, crafted from pure silk, finished by hand: is there any other way to make a tie?" Good quality well made hope the recipient likes it as much as I do . !